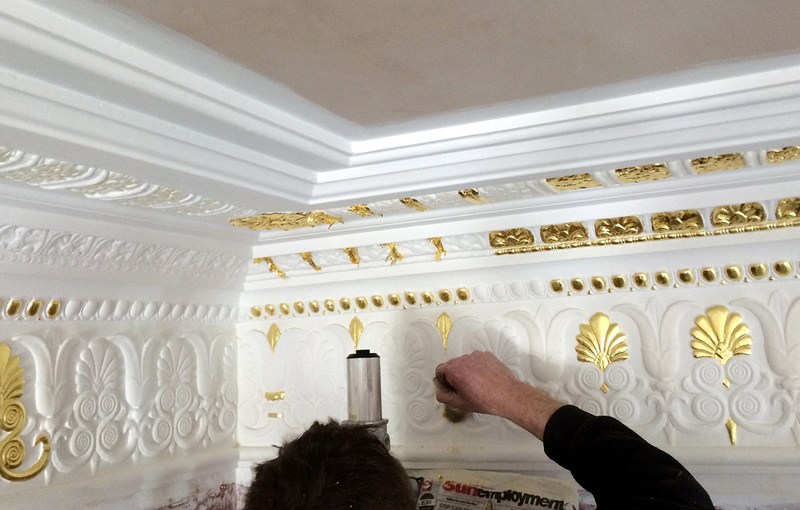 Delicate gilding works are currently being carried out to restore the German Embassy. 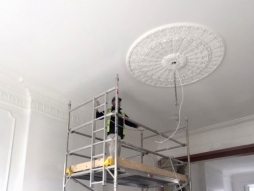 Working closely with Historic England, we are refurbishing the impressive Grade I listed interior of the Ambassador’s residence in London’s Belgrave Square. 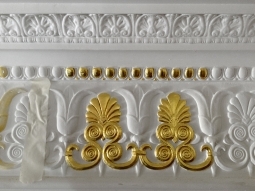 This includes reconstructing intricate plasterwork and cornices in the state rooms, soon to shine again in their former splendour.